Looking for that Ash Wednesday gift for that special person who's hard to buy for? 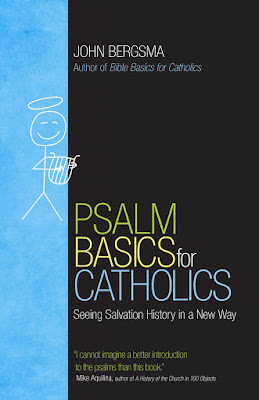 Look no further than Ave Maria Press and my most recent book in the Basics series ... Psalm Basics for Catholics! It's now available for order on Amazon and other book retailers. I also discuss in greater depth twenty-five psalms—five from each book—that fall into the "Absolutely Must Know" category. The famous, the unforgettable, the pivotal ones fall into this category: Psalm 1, 2, 8, 22, 23, 51, 72, 89, 90, 100, 110, 136, and many others. Did I mention that Brant Pitre and Mike Aquilina say nice things about this book, which should motivate you to purchase it? If I didn't, let me mention that.